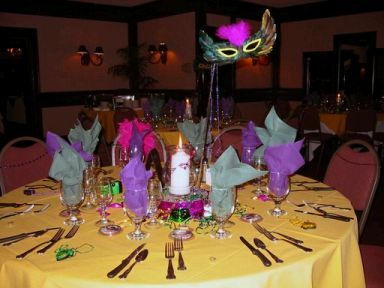 The carnival parties are preferred by young and old, and of course, although the customs and the things that are usually performed vary from city to city and country to country, in general it is a good time, with the people you feel comfortable and have fun. Part of the success of a carnival party decoration is, before testing should take into account several aspects, including, if the party is during the day or night, if it is a formal or informal celebration, if the decoration will be made based with ribbons, balloons, pens, etc., they seem to be many things, but really just get organized and ready. 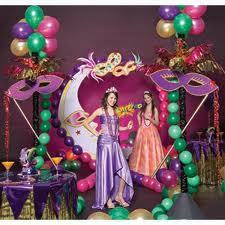 To help a bit in this decision-making, we present some carnival decoration models that surely you'll enjoy much and help you decide on the type of arrangements you will make in your celebration. 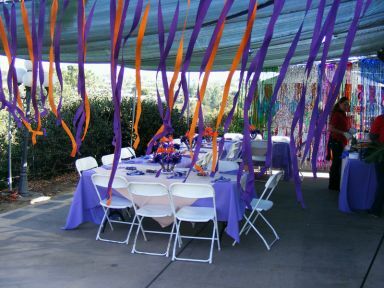 In this first picture we have an ideal decoration for celebrations during the day, made based colored ribbons and cloths using fabric to cover the area of ​​the tables, they are carefully dressed and served. 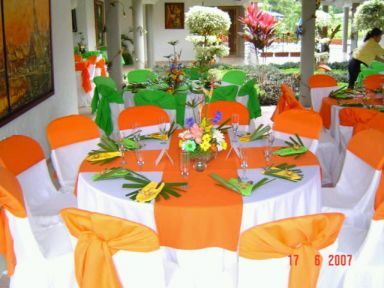 Another colorful presentation, designed also for day meetings, in this case the decoration is made based on the colors orange and green, against the background of the ubiquitous white, the result, a cool and full of joy and life. 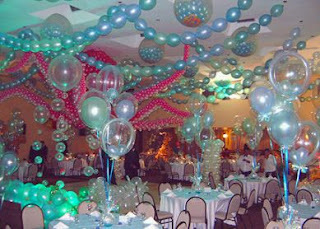 However, if your celebration is held at night, this decoration based on balloons, can ensure success and good cheer, your party, as you can see not only balloons in the ceilings and walls, but the centers of each table are also based on arrangements made with balloons. Another way to decorate based on balloons, balloons filled if the roofs or in environments that are involved in the celebration, the result is as colorful and showy that always looks good. On the other hand, if you love the celebrations elegant, classy and stylish, here are some images that surely you'll enjoy. 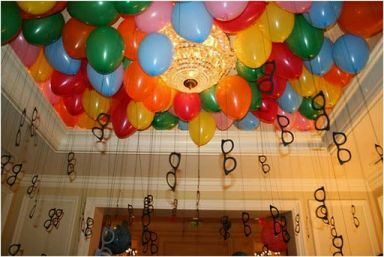 In this first you can see a welcome arrangement, based on large balloons and masks, I bet you'll surprise your guests when they see it. 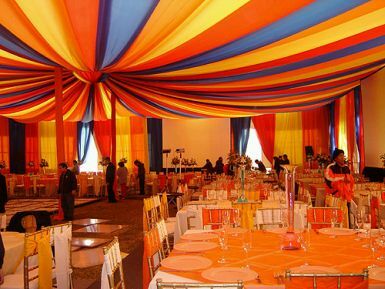 If your party have big walls, a good choice of decoration is this, it is multicolored cloth pads before them, tables with snacks for the guests. But if what you want most is to surprise your guests, surely you will succeed if you decide on an arrangement like this on the roof. Sometimes, the centerpieces are so incredible, you do not need more decoration in the environment, and just these tables and dressed properly served. 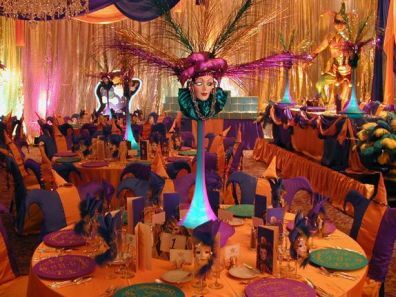 Beautiful and elegant form of decoration on the tables, their colors and how they are served, complemented perfectly with beautiful centerpieces topped with the faces of the harlequins are also great multicolored feathers in the headdress. Finally, elegance, good taste and modernity are some of the adjectives that best describe the proposal presented below, and if you look good, only played with the colors green, pink and white. I hope you have-liked these ideas. 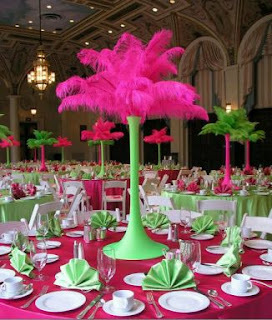 These ideas are so nice. Congratulations, you did really nice work.